Use this chart as a teaching tool or assessment. 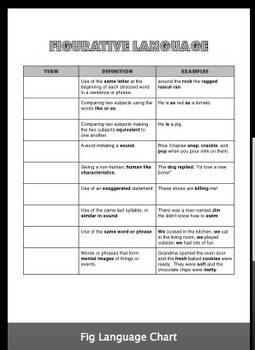 The chart provides the students with a definition and example of figurative language terms. Students must write the name of each term in the appropriate box.